The first thing to say about the first aid articles on this site is that they are not meant to replace any more qualified sites or remove the need for you to be trained in first aid. However, the fact you’re looking at a section on first aid can only be a good thing, as some knowledge of first aid is better than no knowledge. 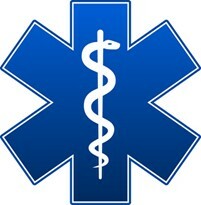 Links to first aid training companies here. Throughout this section the context of first aid is in the hills and countryside, away from immediate help. Situations unlikely to be encountered in the hills, such as electrocution, are left out. The principle of first aid is to provide immediate first response treatment and help to those who have had an accident or onset of a medical condition. However, the most fundamental issue before 'traditional' first aid (CPR, dressings, bandages etc), is to ensure that you assess the danger of the situation before you go wading in put yourself or others at risk.